Truly, the madness happened during the night...but, finishing up this shoot was exciting and there is a lot of activity that happens during the day. In the morning is when Muir Copper Canyon Farms receives produce. They try their absolute darndest to source produce from local farms, but that is obviously a little more difficult during the winter months. Still, they make great effort to get the best for their clients, and they work like mad to get everything processed and out to their clients in a timely manner. The other thing that their workers do is to break down larger containers of produce to smaller units. They have a very busy workroom where 4-5 people are working through boxes of produce to get it all divided up. I also took a little extra time to do some tripod images of some of my favorite food items. Having worked through the night, I knew where I wanted to explore while I had the camera mounted. Otherwise, it was similar to my night shoot where I would just wander and shoot, wander and shoot. There is only one more post after this one, where I'm going to discuss one of my favorite subjects: light. Blessed, sweet light. So look our for that. Also, if you've managed to make it this far...I applaud you. If you can make it to the next one...well, maybe I'll try to make it worth your while just a little more. tl;dr: Different things happen during the day, and it was quite busy. I also took extra time to focus on specific produce to photograph. These guys were in and out, finding and pulling product, and never really ceasing to move. It was February when I was there, and here was a big ol' box of melons just waiting to go somewhere. 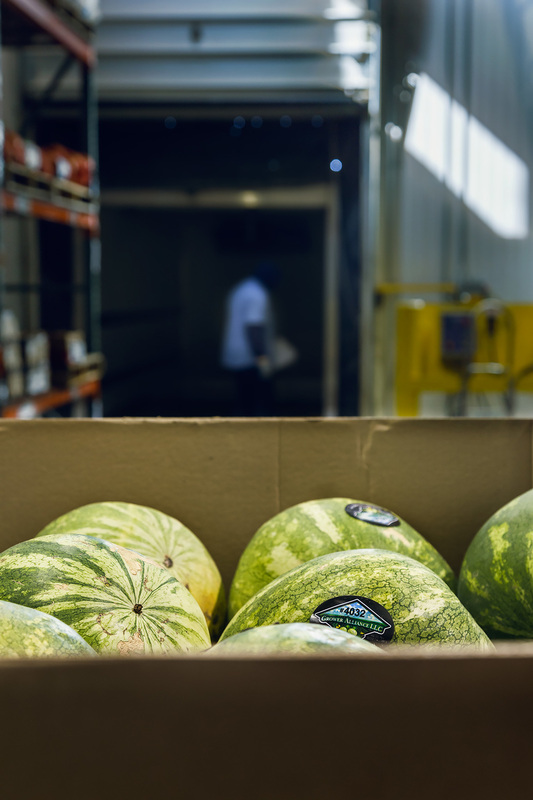 Consumer demand for out-of-season produce means that companies like Muir Copper Canyon Farms finds other sources to get it, even from other countries! 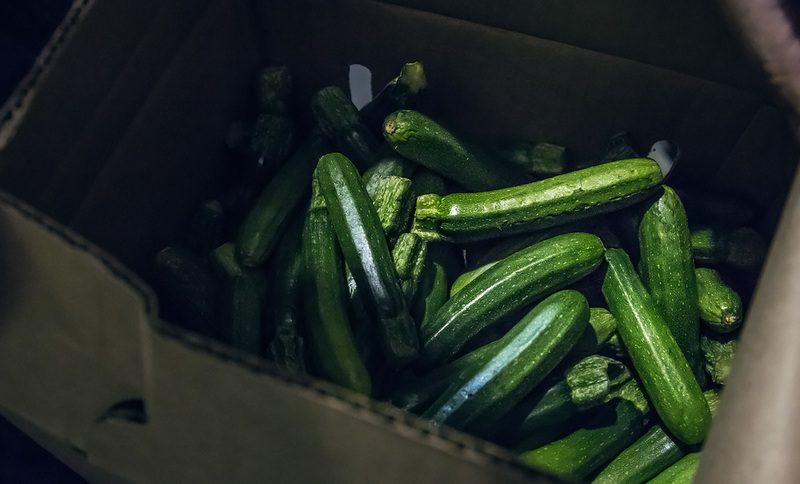 Just a few of thousands of boxes of produce. The workers in this room were awesome, and didn't even fret about me being there. A quality crew. One of the workers took me around to show me some of his favorite items in the warehouse. These were such adorable baby zucchini.